i partnered with nuLOOM on this post however all thoughts and opinions are my own. 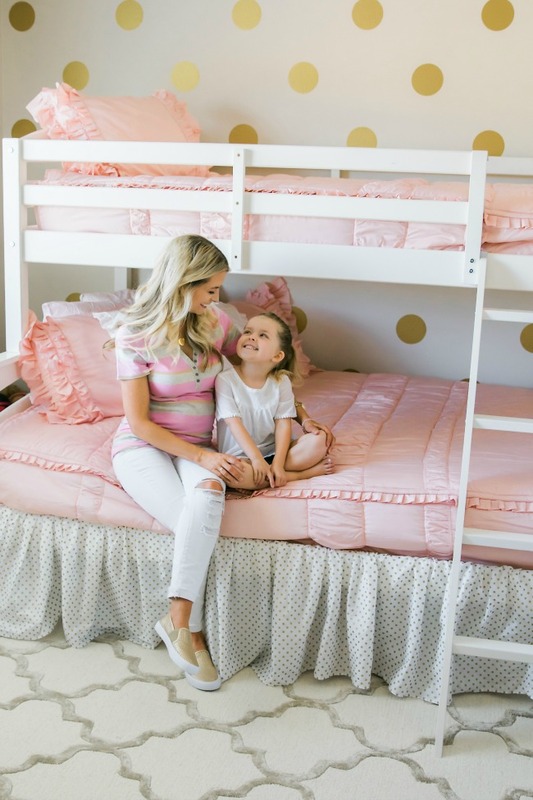 today's post is to highlight an essential accent piece to my daughters bedroom design. a rug is an item that helps coordinate an entire room. it pulls together all the accents, it frames the bedroom, it adds color, dimension, texture and more. the right rug can make a room go from drab to fab and i couldn't be more thrilled with this rug i picked up from nuLOOM.com. the Hand Tufted Park Avenue Trellis from nuLOOM was the perfect fit for this room. i knew it as soon as i saw it. this rug adds just the right touch of chic to the bedroom redesign. 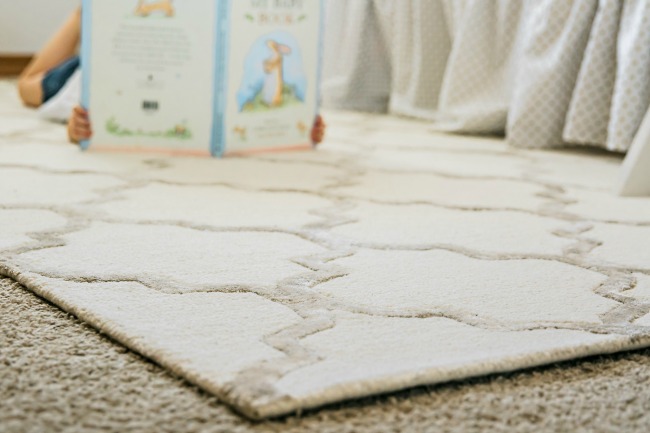 the hand tufted fibers are plush and the rug and the nickel accent color is just so soft. the trellis design is not too big or too small but rather just right. the rug does a perfect job of joining the bed and bedding with the chair's floral pattern and frames the furniture perfectly. nuLOOM.com is such a great rug site because they offer SO MANY rug styles. if there is a rug you had in mind it is most likely on this site. no more searching through site after site for the accent rug you wanted - it can all be found in one place. one of my favorite things about nuLOOM is the price. they offer their rugs at an affordable price point and currently you can get any rug 20% off with the code SALE20. there's never been a better time to snag your perfect accent piece! the shipping from nuLOOM.com was quick and efficient which i was surprised by because it was such a large item to ship. i didn't have to wait weeks but rather just a few days. my daughters love laying out on the rug and using it for lounging, reading their favorite books or a playground for their American Girl Dolls. 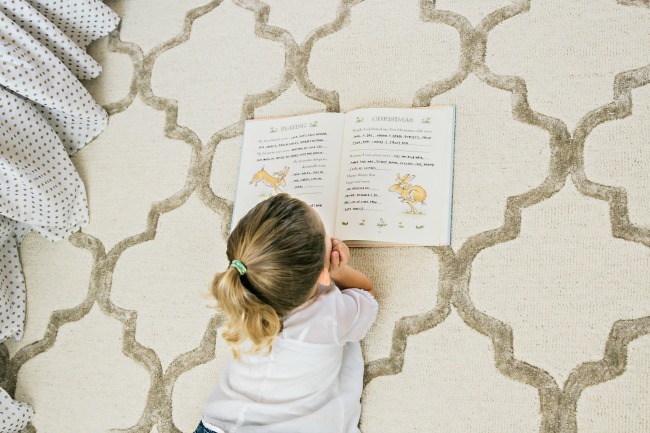 i have already started the hunt for the accent rug for my son's nursery that i am currently working on and nuLOOM.com was the first place i looked. let me know if you have any specific questions about the rug or the room and i am happy to answer. thank you nuLOOM for partnering with me on this post.